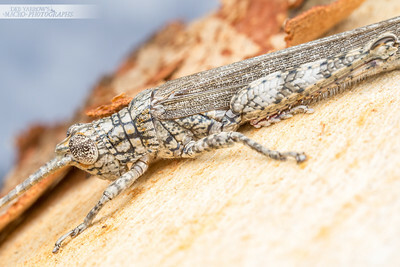 Portrait of a grasshopper on a gum tree. Charleville, Qld. 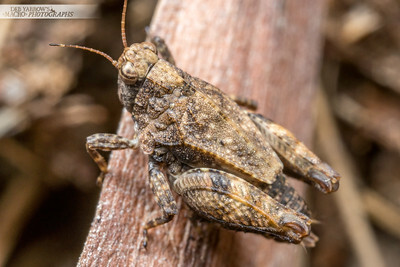 Brown pygmy grasshopper sits on leaf litter, near a creek. Victoria Point, Qld. 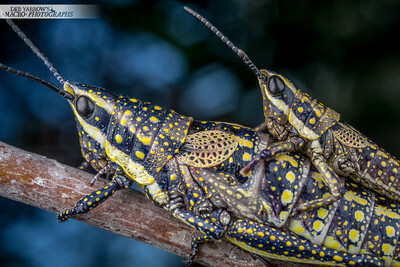 A mating pair of short-winged, flightless grasshoppers, Monistria pustulifer. Longreach, QLD. 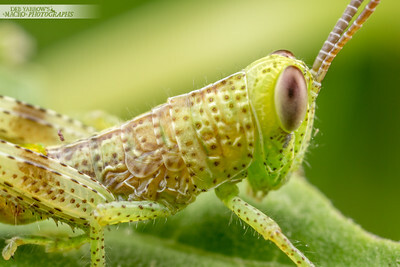 Early instar grasshopper thrives amongst a thicket of weeds. Oxley Creek, QLD. 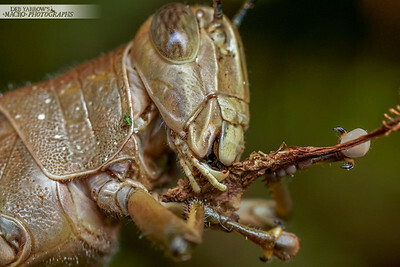 At roughly 70mm long, giant grasshopper's beatiful earthy tones helped it blend into the dead seed head it was perched upon. 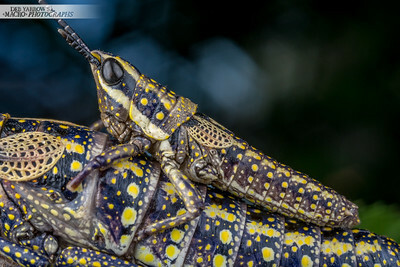 Oxley Creek, QLD..
Could this be an aquatic grasshopper type thing? 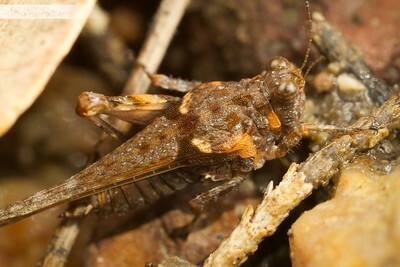 I found quite a few along the banks of a creek and witnessed one emerging from the water. It could have accidentally jumped in, or do they enjoy a swim? This one seems to be missing a leg. 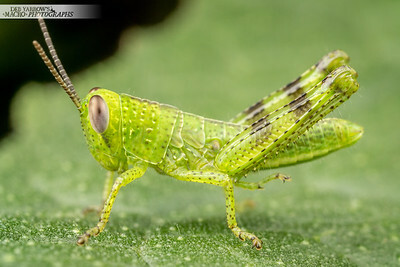 Baby grasshopper waits to see, does it jump or not. Oxley Creek, QLD. 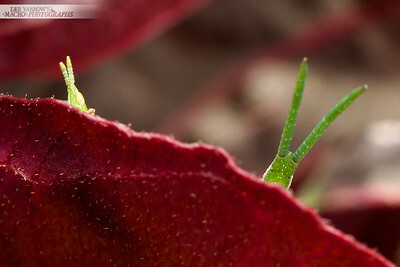 Baby grasshopper peeks at you. Mt Coot-tha, QLD. 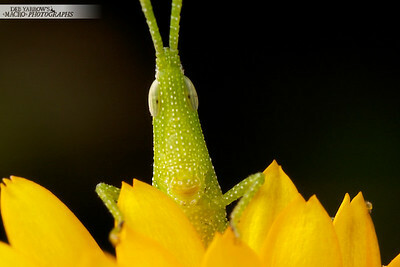 Grasshopper on a yellow flower. This guy reminds me of Beaker from The Muppets. Kyogle, NSW. 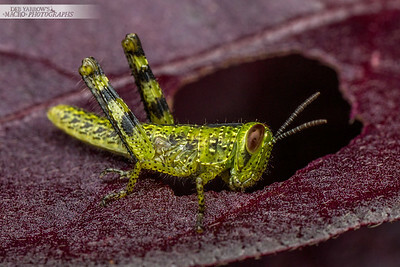 Baby grasshopper chews a hole in a purple leaf. Durack, QLD. 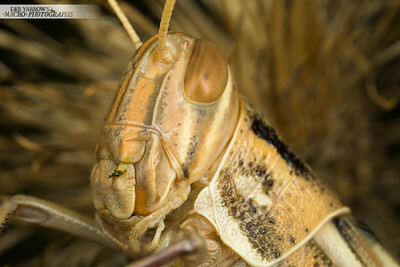 Common brown grasshopper feeds on dead flowers from a plumbago. 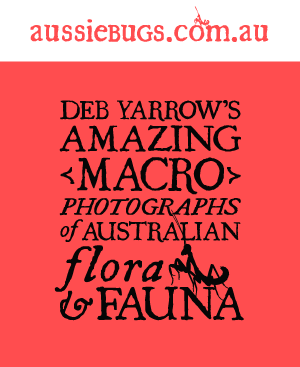 Wrap your finger lips around a dead flower today! Durack, QLD. 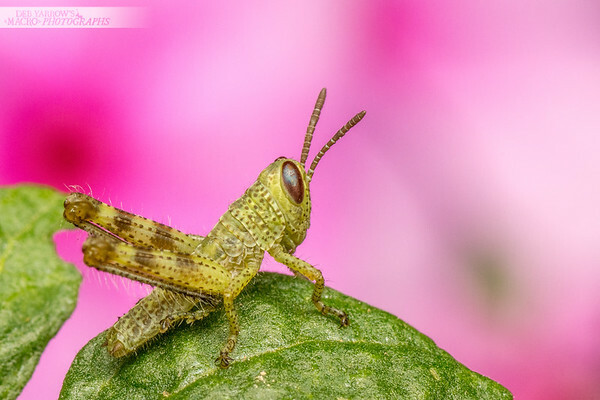 Baby grasshopper in front of some pink flowers. Durack, QLD.